The number 7 comes up a lot in my life... What has happened in your last 7 years? I first answered the call back in 2011. We had witnessed the financial crash in 2007, the world would never be the same again. There was huge hope though. The Internet, global connection, and improved communications, right there were the raw ingredients to rebuild something much better than what unrestrained "Greed" had created in the last century and the beginning of this. Everything starts with a conversation... But where were we able to go and have conversations with no agenda attached? 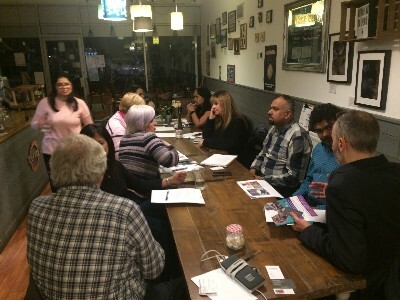 Having been out networking with my son during 2011, it was clear to see that Business people had created an environment to meet up regularly and support one another. But it was limited to a tiny fraction of the population. What about everyone else? ... those without a business... those running community groups, regular folk just wanting to know more local people around them, where could they meet and connect with others? 1. The birth of Link4Growth. An opportunity for anyone to meet others in the community. Inclusive and open to all, and, most importantly free to attend with no obligation to be a 'Friend of Link4Growth' (£3 per month). My Learning: Focus on People and Relationships, this was about connecting people and watching the magic happen. It is also about providing a valuable local service just because we could... and not dependent on 'Authority'. We could just take action and shift the energy away from just money making. 2. Distrust and Scepticism. The message of Link4Growth was not received well by everyone. Why would you begin a "Networking" organisation and not look to make money? That was unusual, and different, and therefore often... not trusted. Many people didn't believe it, asking... ok... so where is the catch? Many people where sceptical and believed there was another motive. My Learning: The conditioning of society is very deep, and the belief that 'no one does anything for nothing these days' was (and still is) rife. This was going to require resilience and tenacity and complete belief in the message... "giving without expecting return and being kind to others"
My Learning: That Link4Growth is a solution not THE Solution. The detachment from Ego and recognising that we don't have the answer, just an answer. That we will need many different ideas and solutions to tackle the challenges of our times. Recognition that those who want to align themselves with Link4Growth will present themselves in time. If we knit all these awesome ideas together it would be amazing. 4. Vulnerability. Link4Growth was dependent on a small group of people. People aligned themselves with the organisation often because they liked the people. What if the people changed? ... What if an individual received bad press? The organisation which has Integrity at its heart would be discredited. 5. Continuity. The organisation had started as a limited company very much attached to the old paradigm of the 20th century. In order to move forward in line with its principles it had to change. Link4Growth was being built by people for the people. So it ought to be owned by the people too. 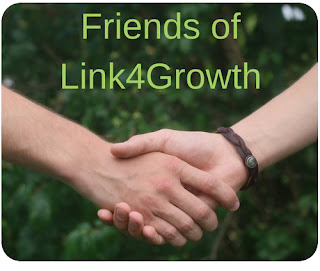 Link4Growth became an association on May 1st 2017, owned by all 'Friends of Link4Growth' who had a continuous 14 month (or longer) subscription to the organisation. My Learning: To recognise and be able to let go of something that needed to go beyond myself. To have faith that in doing so it will be able to become all it can be. 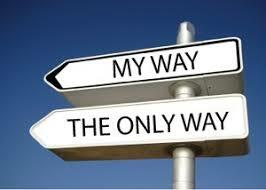 To step away as the leader of the organisation and open up opportunities for others to grow. To let go... and to further detach from ego. 6. Leaderless Organisation. 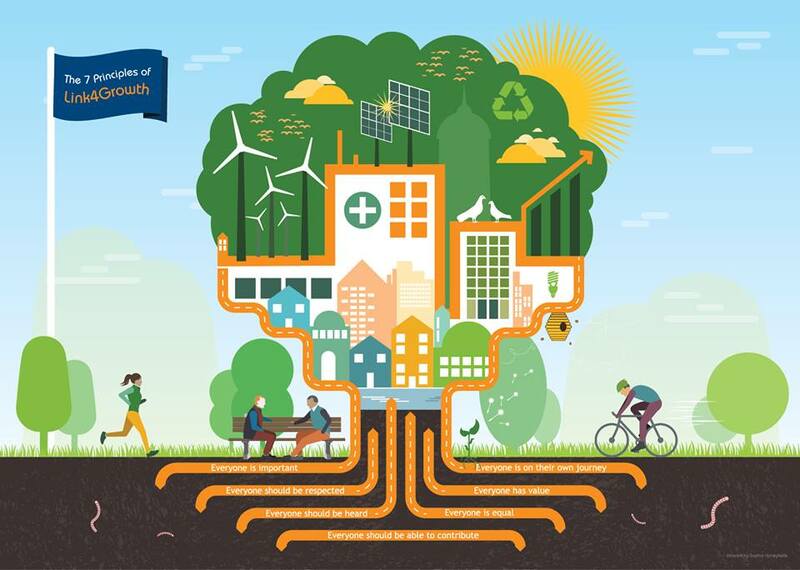 As the transition to an Association entered its second year, Link4Growth has committed to being a leaderless organisation. Where there is no single point of failure and where we truly collaborate to bring about changes in our communities. My Learning: Letting go again. The future of the Link4Growth organisation now rests in the hands of those that seek to deliver on its mission. 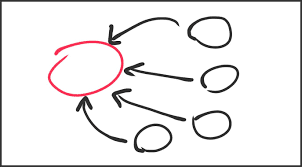 I am a willing contributor (with experience) but it has to be a shared vision to move things forward where we all agree what to do... and how to do it! ... that requires a lot of vulnerability, discussion and listening to others to ensure people are heard and can contribute. 7. Principles and Behaviours. When considering leaderless organisations, it must be clear what are their visions, missions and goals. New people joining the organisation now have a clear statement of principles and behaviours that are consistent with what Link4Growth stands for. Having accepted we will align ourselves with principles and behaviours set out by the organisation we can be measured against those, as opposed to being judged by individuals in the organisation (which would be a return to having leaders once more). My Learning: Through practising "Link4Growth" and engagement with people I have become changed by Link4Growth. It is through Link4Growth that I am constantly honing my skills and abilities. I have worked on my own beliefs and visions for my own life. I have now a clear way forward that I am comfortable with and how I can measure myself, not against others but against principles, values and behaviours that I hold dear... with kindness right at the centre. It is all still work in progress... there is a lot to do. It is great to have friends who constantly challenge you to being the best version of yourself... I am fortunate to have plenty of those, it's often tough love though! Development through engagement with people. Listening, Compassion, Support, Humility, Kindness, Self worth, Empathy, Giving without expecting return, and that just being allowed to unfold ourselves rather than be controlled or moulded by the will or expectation of others. By meeting regularly we begin to learn about the people around us and of course they about us... with all our foibles and peculiarities. When we begin to speak with others we learn so much from them... and about ourselves too. Each engagement presenting us with a myriad of opportunities to co-create something new. 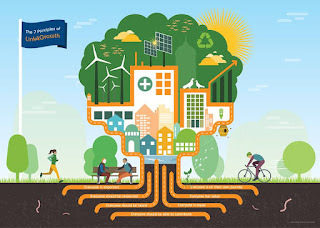 These connections provide a rich source of support, nurturance, knowledge, information, tips, tricks, signposting, solutions to problems or challenges and inspire us to grow. Once we have undertaken (or are practising) the work above we naturally see amongst our roles as giving back to the community. Community is about harmonising all of our individual needs via a complex web of interests, passions and purposes. The more we talk, share and engage the faster we can create the kind of future that at present we can only imagine... let's start there!